Oceana Residence condominium is located in the desirable area of Plai Laem in the North East of Koh Samui and is Luxury Living’s latest project on the Island. 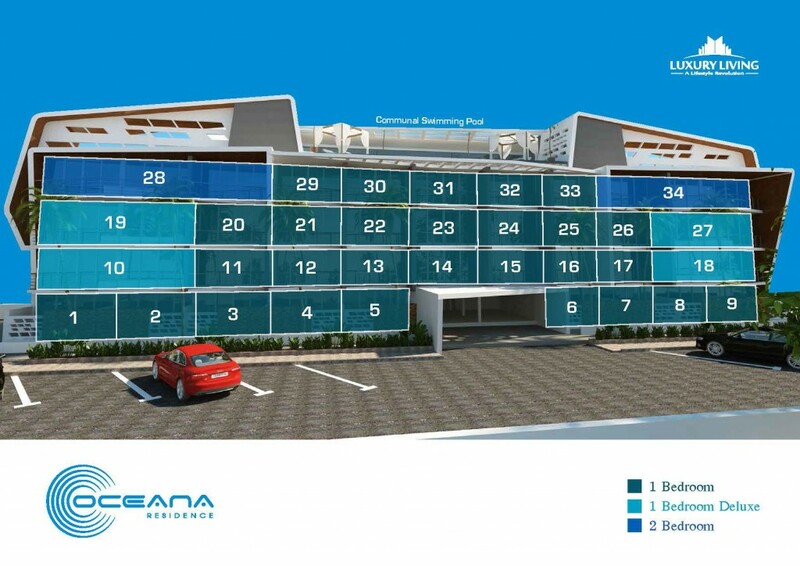 Following on from the hugely successful “Aqua Samui” Development in Chaweng Noi, where Phase I, consisting of 11 Villas was sold out in only 16 days, “Oceana” allows the Developer another opportunity to further enhance its design, construction, strategic marketing and sales reputation. The “Oceana Residence” has a modern contemporary look to it and is set on four levels with a stunning chic roof top swimming pool and relaxation area. The upper level top area will also consist of an exercise room with a small snacks and beverage area. For those wishing to swim in clear blue cobalt seas and to feel a white sandy beach beneath their feet there is a stunning sun-set facing beach only a short walking distance away. Oceana residence will comprise of one bedroom and two bedroom condo units (also available in deluxe and penthouse options), each tastefully furnished by Luxury Living’s expert design team. A feeling of both comfort and luxury will be the focus of the Luxury Living team which will be transferred to the finished product.